If you are the type of person that waits til the end of a TV season to watch the whole shebang, uninterrupted...or the kind of character that picks up trades instead of those bite sized comic morsels, then this latest news blast from Telltale games is for you. 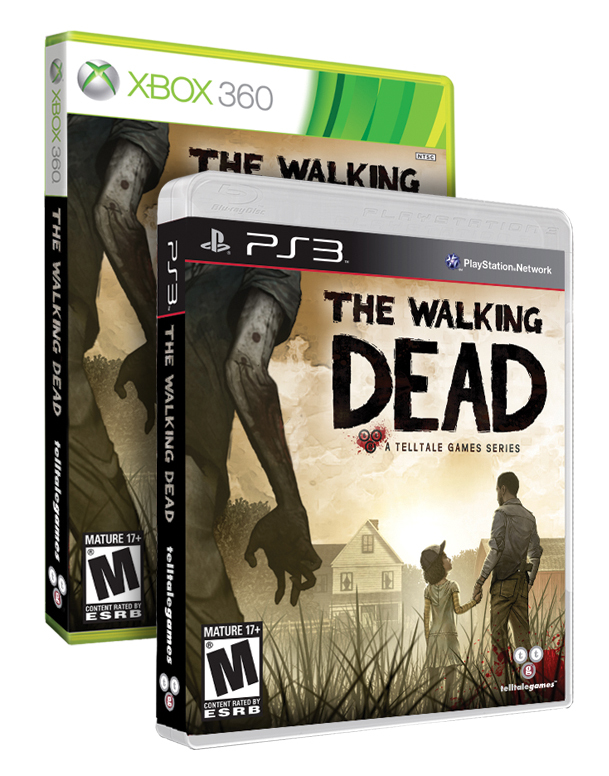 Today we would like to share the first official images of the retail version of The Walking Dead, which has a target release date of December 4th, 2012* in North America. The world we knew is gone. The dead have risen to feed on the living. The living cannot be trusted. Starving. Never safe. Looking for hope. What would you do? Taking an orphaned girl named Clementine under his wing, Lee must deal with true horror under the constant threat of walkers hungry for flesh... as well as other survivors, desperate enough to do anything to stay alive. Featuring cover art exclusive to the Collector's Edition, this is the first 48 issues of the fan-favorite, New York Times Best Selling series collected into one massive paperback collection! Over one thousand pages chronicle the beginning of Robert Kirkman's Eisner Award-winning continuing story of survival horror- from Rick Grimes waking up alone in hospital, to him and his family seeking solace on Hershel's farm, and the controversial introduction of Woodbury despot: The Governor. We'll have more details on November's digital release date for the highly-anticipated season finale, 'No Time Left' (which will also be included on the retail disc) VERY soon, but until then, feel free to let us know if you have any questions as this season of The Walking Dead heads toward its stunning conclusion.